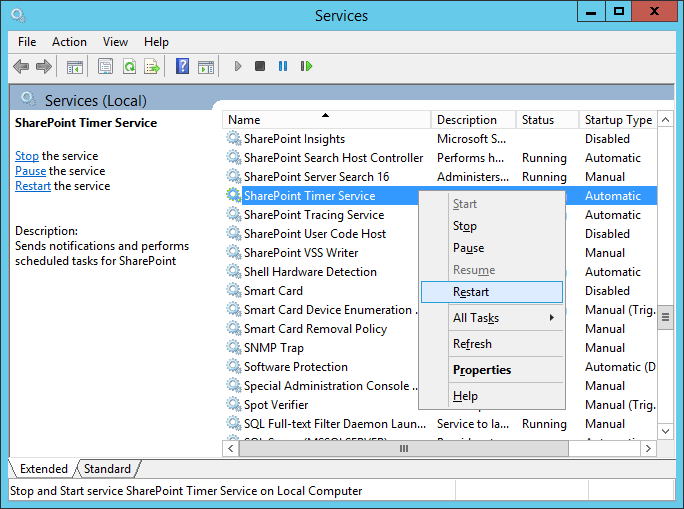 From the "Services" console, Find "SharePoint Timer Service". Right click and choose "Restart" from the Menu. $Service = Get-WmiObject -computer $ServerName Win32_Service -Filter "Name='$ServiceName'"